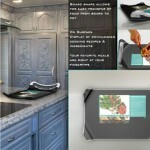 Kitchen gadgets are gaining its popularity in many kitchens across the world. They are very convenient and even stylish. Today’s post is all about combining cutting board and kitchen scale in electronic cutting board. 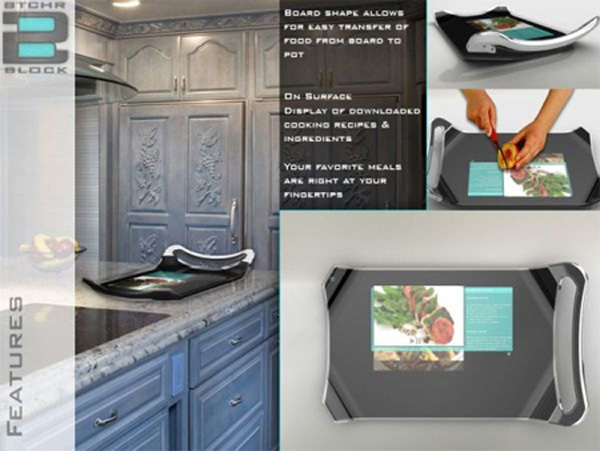 Electronic cutting boards can be of many designs and styles. 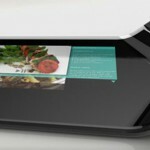 They can be as simple as just a white cutting board or some special digital tablet that combines many properties within one. In this post we will discuss the differences between different cutting board designs. All of these kitchen gadgets are excellent in preserving space in your kitchen and time you spend. At first glance, the “cutting board scale” looks like an ordinary board, all white and traditional. But, when you place something on a board, like a little cucumber; then you would see a little red rim that would tell you how much the little vegetable weight. 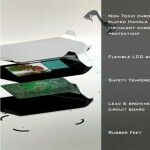 The base of this cutting board is electronic ink, that doesn’t need light, and the power is submitted by low voltage PV. So, you don’t have to get your clumsy kitchen scale and measure just how much of cucumber you need to put into your salad. You can scaling while you are cutting it, as simple as that! 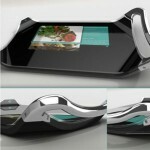 Another awesome cutting board design is presented as “Dual-sided digital cutting board+scale”. 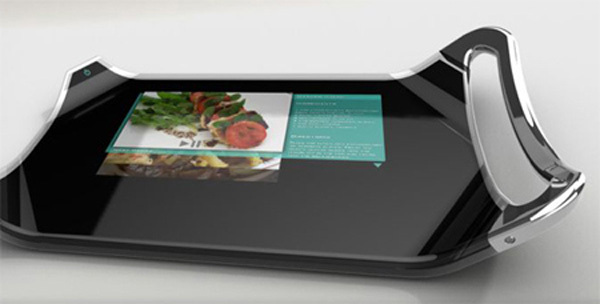 This one is not only a cutting board + scale, it is also a tablet that allows you to upload the recipes and cut while scaling your ingredients. Isn’t it amazing? 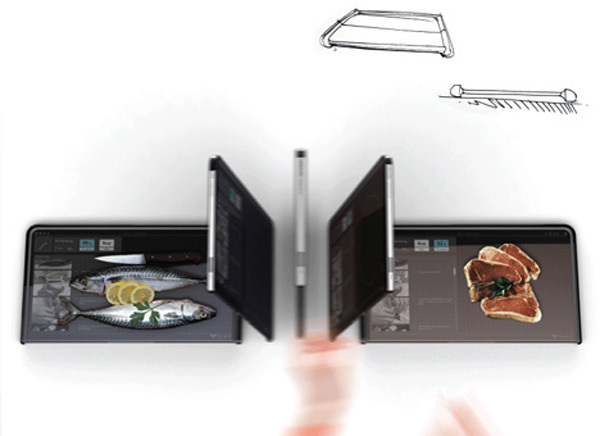 No more heavy recipe books stacks, all simply uploaded into a black awesome tablet. Produced by Jaewan Jeong, this amazing cutting board is all to dream for in the kitchen and an ultimate must have for any cook. 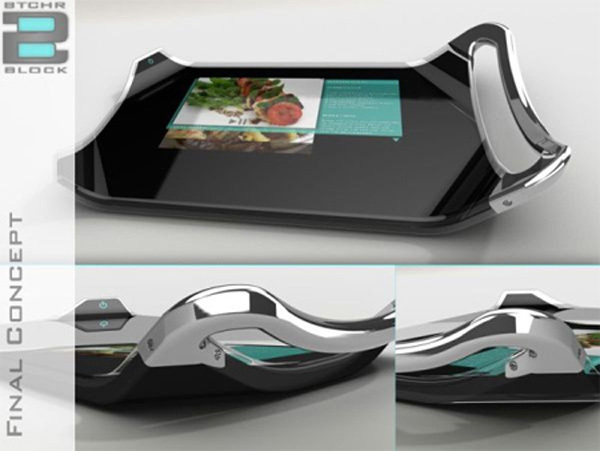 And the last kitchen gadget masterpiece is a futuristic cutting board with integrated LCD display, designed by Marc Nardangeli from Nardo design. 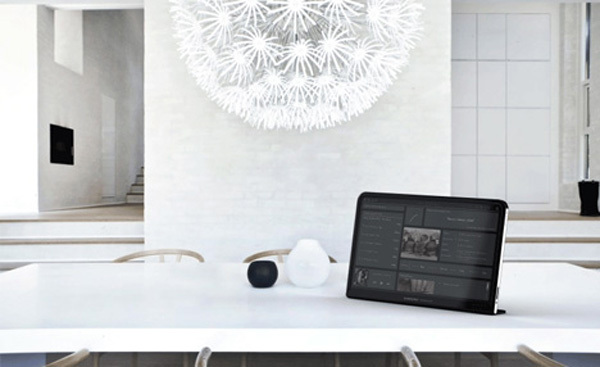 It has an awesome feature that would allow you to upload your favorite recipe, which can be downloaded straight to the board. You would be surprised, but this board is also environmentally sound. 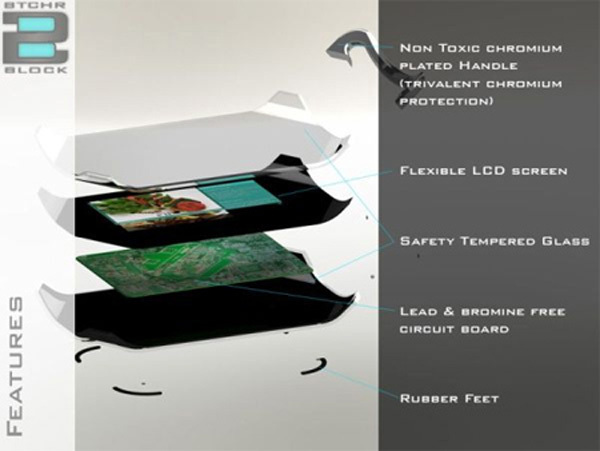 However, the back side of this cutting board is that it is still a concept, an idea that is about to be produced.